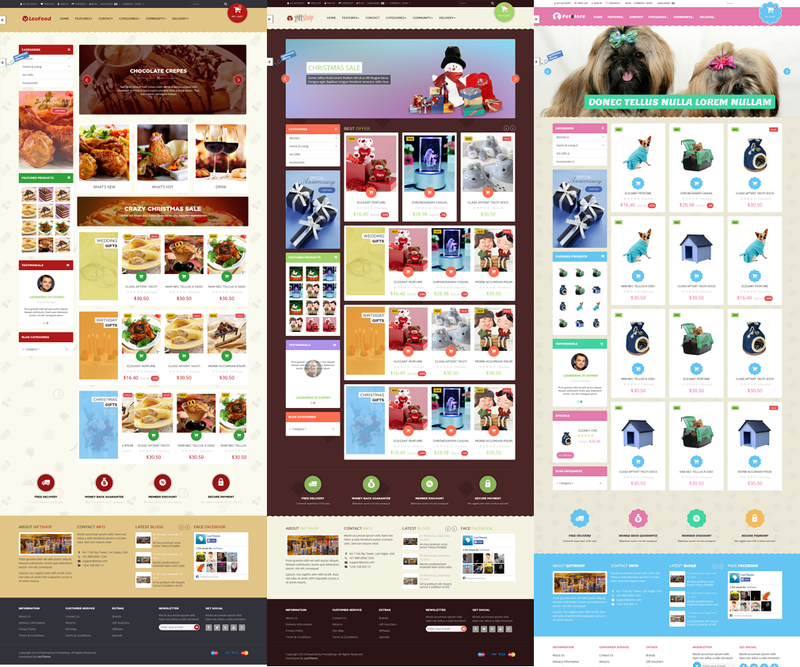 Leo Gift Shop is a prestashop responsive theme support multi store. If you are a merchant who is in business for lots of areas, Leo Gift Shop is the right choice because you can to manage unlimited number of sub shops from the same back-office. Moreover, it have 3 different layouts which brings lots of choice for your shop. 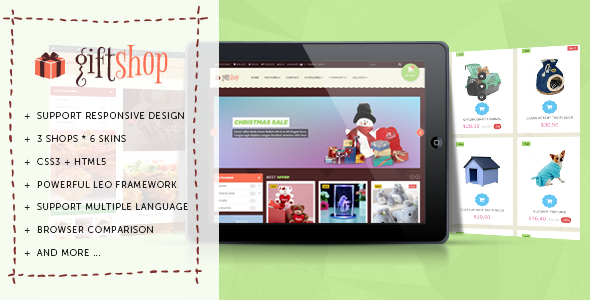 Leo Gift Shop is a modern responsive prestashop theme which is suitable for any eCommerce sites. Its design is very creative and professional designed for Gift Shop, Pet Store , Food Store, Fashion Shop, and more. It is extremely suitable with store having huge product range. Item Reviewed: Leo Gift Shop Responsive Prestashop Theme 9 out of 10 based on 10 ratings. 9 user reviews.